The Game Boy is rapidly approaching its 30th anniversary - something we're celebrating right now by gathering your votes for the best Game Boy games - but that doesn't mean that we can't still get new games for the system. 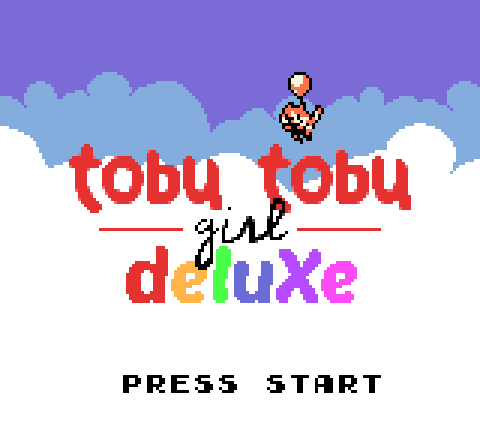 Back in 2017, we shared the news of a brand new Game Boy release called Tobu Tobu Girl, an arcade-style platformer which received a very limited run of physical Game Boy cartridges (it was also offered online for free via emulation). Now, the original team is back in partnership with First Press Games with the aim of treating the game to a larger physical run - as well as giving it a Deluxe makeover. This new release is hoping to follow in the footsteps of the likes of Zelda: Link‘s Awakening DX, essentially being an enhanced re-release with additional features and graphics optimised for the Game Boy Color, while still being fully backwards-compatible to the black and white classic system. The physical release is already in the works - we're told it will have "manual print work, unique cartridge mouldings and high-quality circuit boards for the game itself, along with a dedicated package and manual design" - but the team is hoping to raise funds through Kickstarter to see it all happen. You can check out the crowdfunding campaign here if you're interested in learning more or pledging your support - it has 22 days to raise another €20,000 at the time of writing. Make sure to check it out if you're intrigued and let us know your thoughts in the comments below. At least it will be impossible for this to have a day one patch! after Mighty No 9, I've been very apprehensive of video game kickstarters. this looks lovely, and I'm going to throw money at it. Finally you guys get around to reporting this. I really love this game and the fact they are working on adding more the game is great. 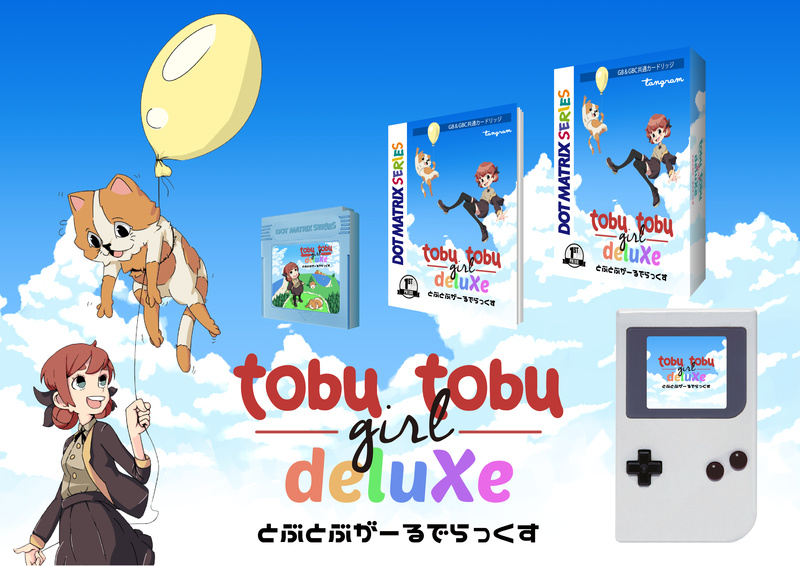 Anyone who like original GB/GBC stuff needs to back this,. 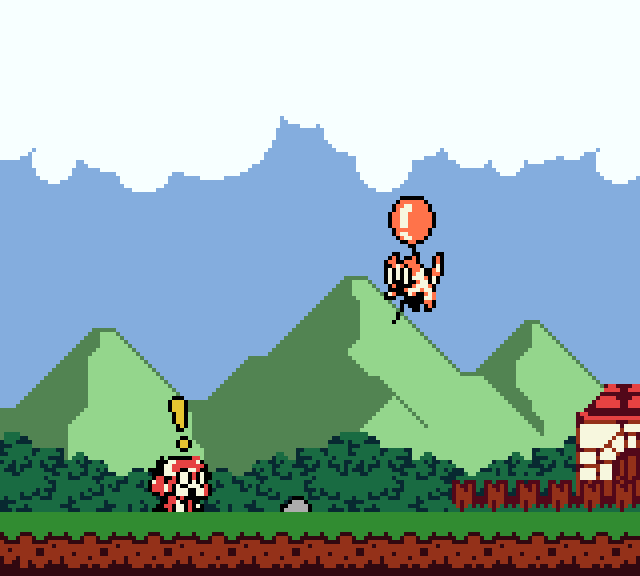 This actually looks massively fun and I'm glad that developers are not only making retro-inspired games but actually developing them for the original console. If it's backwards compatible with the original Game Boy, although I have both, I'd like to have it. I hope this time the physical release is obtainable for regular humans. @Moroboshi876 I guess it's a black GB cart. Clear was GBC only. I'll probably buy this for the novelty. @MagnaRoader It's free via emulation. Your phone can easily run a Game Boy emulator. @Charlie_Girl I have the first gamne and it's great. @YANDMAN yeah because everyone on earth has a working game boy color, and the limited run on a dead handheld totally makes sense for maximum profits? @Trajan and yet I would like to pay these devs to play their game on a modern handheld like Switch - weird and totally unheard of concept huh? @MagnaRoader you can play it on a more modern handheld like the iphone XR or Galaxy 10. 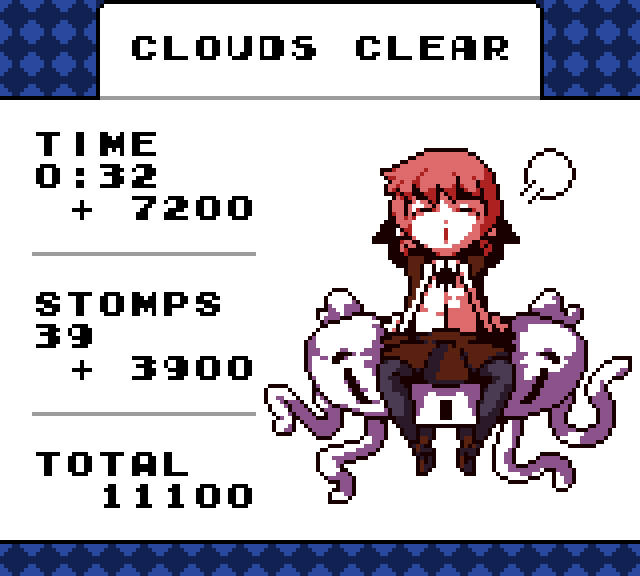 The entire point of this game is to be neat and retro. They would have to remake the game for Switch, or design a gameboy emulator for switch just to get it to run. Unless they decided to port it, which defeats their neat idea. Not everything has to be on the Switch. You can buy a Game Boy on eBay, or get an emulator for free on your phone, tablet, or PC. Or you can hack your Switch and play it on that (Idk about Switch hacking but I'm sure they have a Game Boy emulator for it. I remember playing my Dot Matrix Series all the time growing up! who could forget such games as Hyper Giuseppe Place, Bag Creatures Burgundy and Cyan, The Myth of Zabella: Chain's Rousing and Octris? @Trajan considering this is a Nintendo site, one would argue the interest of Nintendo's current handhelds makes more sense than dead ones, or rivals like iPhones or Galaxy phones.. But whatever floats your boat. Since I am a 3ds and Switch owner I'd rather not spend on a long dead handheld for the sake of a single game made for it now. And that's why I'd like to see it remade or remastered for the Switch (since we all know the 3ds is also a dying platform). @MagnaRoader then this game is not for you. Is the platform dead if there's a new game coming to it? I always did find it odd how people stopped making games for older systems after the 64. When the SNES came out, they still made NES games. SNES still got games in 1997, and PS3 is still getting games. If you're a Nintendo fan, you own several "dead" systems anyway. If you don't, then there's emulation. @MagnaRoader You are a perfect contradiction in terms. If you are into Gameboy and you w ant to play it then yes you will obviously have a working Gameboy, do you use the same silly statement when regarding any classic system? With new shells, LCD screen mods and rechargeable batteries being readily available it is very easy to own a working system. This project is not about 'maximising profits' this is about passionate people making something great for likeminded passionate people who want to play on a real system and still enjoy collecting original media, alas if you don't have a 'WORKING SYSTEM' then you can download the rom for 'FREE' and play it on any emualtor that you can operate, how's that for maximising profits, its free. Now accept this little piece of knowledge and perhaps don't take such an imemdiate and ridiculous tone to your response, people won't like you if you're silly. Have a lovely weekend. 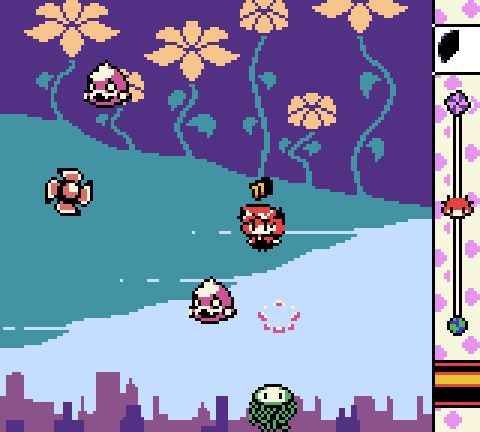 This is such a cute game, but seeing as I'm kind of a monochrome purist when it comes to my GameBoy games, I wish them the best of luck with this second endeavor, but shan't myself be pitching in. Good thing its not GBC only, for those of us that haven't upgraded yet! @MagnaRoader Well if speaking the factual truths of a matter makes you a weirdo then i fully welcome it. Have a great weekend. Love it. Going to look great on my GBA. I really love when people make retro games that run on real hardware. I understand that for novelty purposes new games coming out on old console, but honestly they really are missing a large market. The only way I have this console still is because I had it when I was in first grade. That's a huge wasted opportunity. I love games like that, I would have paid them for it, or at least been willing to try the game if they had put it on the Switch or PC. Hopefully the 100 or so people who play it have fun. Love the retro music but the gameplay doesn't look that good. @Nintendo_Thumb it is on pc though, you can run it on an emulator.